TOKYO (Reuters) – Japan’s top government spokesman said on Wednesday that the Group of Seven leaders were likely to discuss the global economy and concerns about U.S. trade policy. 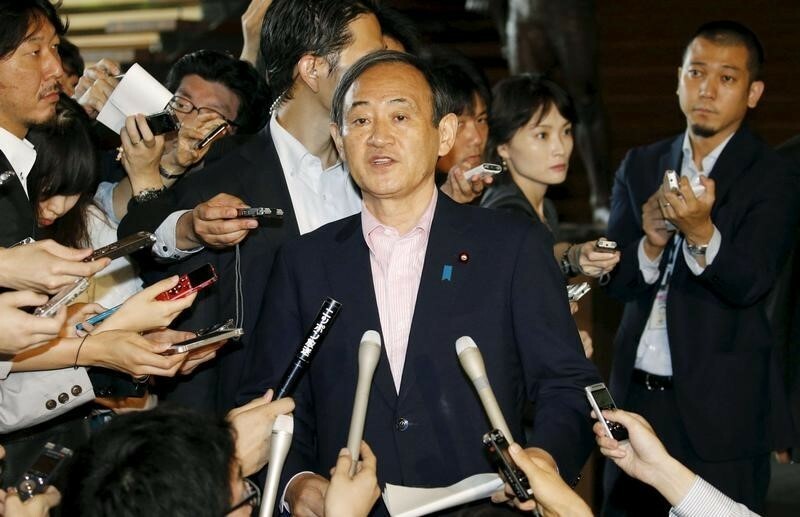 Chief Cabinet Secretary Yoshihide Suga, speaking to reporters, said it was important to maintain free and open trade in line with World Trade Organisation rules. U.S. President Donald Trump, who is due to attend the G7 leaders’ meeting in the Canadian province of Quebec, imposed tariffs last week of 25 percent on steel and 10 percent on aluminum from Canada, the EU and Mexico, citing national security reasons.